Everybody deserves to live a happy and healthy fun life, because this is how we are meant to live by design. Yet most people are living their life by default and they are not maximizing their inner true potential. When many people attempt to change they find it a lot harder than they thought it would be, the reason why most people struggle their way through life is simply through a lack of the right information. There are millions of people who are trying to improve and better themselves, their health, their well-being and their lives and there are many great self help techniques and products available. Yet even with all the modern day help and information available, people still seem to be struggling to make the positive changes that they are seeking. We all know that positive lifestyle changes can bring about many positive and long term beneficial results. As human beings we are designed to expand, problem solve, create, grow and better ourselves and our world, so we can live the best life experience possible which is what life is really all about. But to be able to grow and better ourselves and go on to live the best life experience possible, we have to be in alignment with ourselves, our chore needs and desires, who we really are, and who we are really meant to be. Because when you're in alignment with yourself, your desires and how you're really meant to be and live, then everything else will start to fall into place. In life you're either growing, expanding and moving in the right direction or you're shrinking and going in the wrong direction. The chore secret to happiness and success is to be in a calm and feel good state of balance and harmony. But these days most people are out of alignment with who they really are and many people suffer with too much stress and negative emotions. We are primarily designed to have joyful and fulfilling lives where we have good health, great relationships and it is our true nature to be relaxed and to feel good. We are not meant to suffer with ill health, sadness and a life full of problems, life is not meant to be a struggle it is supposed to be a wonderful experience and when we shift to a peaceful state of flow then we become very powerful. But far too often we make life a struggle and make it a lot harder than it is supposed to be and when we come out of balance, we enter a different and not so pleasant state of being and way of living. Most of our problems occur when we start to resist what we want, we give our attention to what we don't want and we fight with our feelings and emotions and battle with ourselves. When really, we should accept that it is natural to feel discomfort at times and we should not spend so much time fighting with our feelings. When we combine our battles with our feelings with a poor diet or a diet that does not suit them, and a sedentary and inactive lifestyle, then this is the reason why so many people's physiology and emotional state are out of balance. When you become out of alignment and balance with your body and your mind, then life will become a struggle and you will find it hard to progress and grow. Change rarely happens overnight, and in most cases it is more subtle and more gradual, but small but consistent changes can result in a huge difference over a period of time. Many of our modern day problems are a result of unhealthy and sedentary lifestyles. But, you can begin making some positive changes just by making a few tweaks to your life and by introducing some positive and healthy lifestyle changes. Negative emotions and thinking patterns will cause you to shrink and stay small, some people say that positive thinking does not help you to change your life. But one thing that is for sure, positive and constructive thinking is a whole lot better than negative thinking. We live our lives by our beliefs, we or others create our beliefs than these beliefs that we take on board will make us and our lives, so if you hold any negative or limiting beliefs then it is time to change them. In their pursuit of change, many will try using the latest self help products, yet many will still fail to make the changes that they they want. This is not down to the product, but more do do with how the person feels and how dedicated and persistent they are. There is a good reason why some people struggle to change their lives for the better whilst others seem to flourish. Which is, those who live happy and successful lives are no different biologically to the ones who struggle. The only difference is, they are usually in a state of balance and harmony with themselves, their lives and this world and they have the right positive attitude and mindset. The formula to being happy, healthy and successful, is not down to one thing only, there are usually a number of things and principals that need to be followed and practiced. If you feel stuck, negative and you feel that your life, health and well-being is not as good as it should be. Then it may mean that your problem is not just down to one thing, but more likely you have an accumulation of things that need addressing or putting right. Stress and negative emotions are two of them, and they will throw your whole physiology out of balance and they will cause you to use destructive thinking patterns. Stress and negativity can become a vicious cycle. The more you worry and think negative the more stress and tension you will create and the more stress and tension you create the more you will worry and think negative. Poor posture and a bad diet can further add to people's problems, and when your body and mind is out of balance, no matter how hard you try, change and progress will be hard. But things will begin to change when you bring your mind and body back into balance and alignment. Then when you're feeling calm and balanced, then you use the self help techniques such as positive and constructive thinking, hypnosis and meditation and start to take daily action steps to better your life. Because before you set about making the positive changes that you're wanting, or you set about starting your goals, get your mind and body in balance first. Because when you do, you will do things better, you will accelerate your results and increase your chances of change and achieving your goals and ambitions. Because when you're in balance and alignment with you and what you want, then you will start to make the changes that you want because it is a universal law and principal and the way life works. The secret to living the life you want is all about being in the state of balance and flow and getting out of the way and just allowing life and things to happen. Many people have an out of balanced mind and body, and if you want to change your life for the better then you might have to work on both your mind, emotions and body. Because, if you want to change for the better then you must take control of your own life, well-being and to a degree your own health. To make your mind better so you can be more focused, alert, creative, intelligent and have a better memory and brain function, you have to also make your body better. Because sometimes to lift the brain fog and to get your all powerful mind to work for you, then you have to work on your body combined with having the right attitude and mindset. If your emotions are all over the place and you have trouble focusing, concentrating and remembering things. Or if you suffer with mood swings or you feel low on energy or you have trouble sleeping, then it could me that your mind and body are out of balance and sync. Often people struggle to overcome their problems because they do not understand the reason or causes for why they are having emotional or even some health related issues. Many problems need several different approaches to fix because very often the root causes of many emotional and physical conditions are an accumulation of several different things. It is now believed that many of our problems are food related, and a change in diet can give you a health and mood boost. 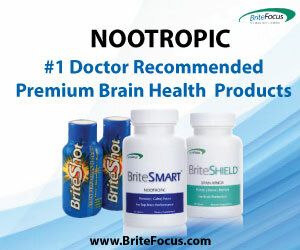 To get your brain to work better your brain needs the right amount of minerals and nutrients. But it is not just your brain that needs nutrients to operate efficiently, your body requires them as well and you can either feed your brain and body with foods that will make you feel good or foods that can make you feel worse. If your body is depleted of nutrients then this can have a negative impact on you and your mood. If you want to maintain good physical and emotional health and well-being, you have to focus on both your diet, mindset and your lifestyle. To sustain a healthy and balanced, good working body and mind, we need to eat healthy foods that will keep our bodies and brains working at the most efficient best. Our brains and body requires good nutrition, therefore it is important to try and stick to a good healthy and balanced diet that is full of goodness and nutrition. Some digestive and skin conditions are a result of an unhealthy gut or eating too many things that do not agree with them. Good fats that can be found in foods that contain Omega three, such as fish and some plants, especially the likes of salmon and mackerel, are believed to be one of the most vital elements of our body. A magnesium is a very important nutrient and it is believed that a magnesium deficiency can increase your anxiety levels and even help with low moods and depression. If you cut back on the things and foods that are bad for you and you add more nutricious foods, then it can do wonders for you and your body. Learn what The Complete Brain Nutrition Pack can do for you! Stress and emotional issues are one the biggest reasons behind many illnesses, it will also block your creativity and although a little bit of stress can help to motivate you for some things. Too much stress is bad for your health, your well-being and your quality of life. It can also disrupt your sleep and prevent you from performing at your peak performance best. Stress is like eating to many bad foods or foods that do not agree with, and stress is like a toxin to the body. Stress, vitamin deficiency and poor diet can result in a lowering of your serotonin levels, and serotonin is classed as the feel good and calming hormone. Many people think they need to rush to do things quicker or they are always in a hurry to get places or get things done. But unless you're in a race, rushing is bad for you, and it won't help you get things done quicker. When you rush, you get stressed, irritable and flustered, and you tend to to a worse job. Sometimes you need to just slow down and take it easy. Plan your schedule well and allow for realistic times to complete your tasks. Slow down, relax and take your time, and look for ways to do things better and more efficiently rather than just rushing and getting yourself all worked up and hot and bothered. Because by analyzing what you're doing and relaxing and taking your time you can gradually build up your speed as you improve your skill levels. Give Your Mind A Vacation, First Stop Island Paradise! The body and the nervous system follows the lead set by the thoughts and the images of our mind. Worrying and anxiety will result in more stress, which will lead to more worry and anxiety and the cycle will keep on repeating on itself. Sometimes a little bit of anxiety and worry can help to keep you guarded and you can use it to help you plan and avoid any pitfalls or to help you grow and get better. However, it should be kept to the bare minimum, and too much anxiety can become a huge hindrance if it is left unchecked. Much of anxiety is caused because people think that they are not good enough or they still lack the confidence in their own ability to handle with or cope with certain situations. When you're feeling anxious it is because you're holding a future image in your mind about something that you don't want, you don't like or a situation where you do not feel that you can handle. What you need to do is, create and hold an image in your imagination of how you would like to be or how you would like to feel. If you're feeling anxious or fearful, always acknowledge how you feel, then feel the fear, embrace it and then let it come and pass. To begin to overcome this you need to start believing in yourself and your ability to learn new skills and overcome personal challenges, so start to tell yourself that you're good enough and capable enough. Many people are stuck in a negative thought process of fear, anxiety, pessimism and worry, and they do not know how to calm down their forever negative and worrying mind. There are literally millions of people who are asking the question, how do I stop worrying or how to I get rid of negative and anxious thoughts? You don't try and stop or get rid of negative or unwanted thoughts, because the more you try, the more emotional arousal you will stir up. We all need to learn how to problem solve, all you have to do is either do some research, or write down on a piece of paper what you want a solution for, or just ask your mind to come up with a solution to what you want. Because when you ask your mind or the universe for help, they have to come back with an answer or solution, this may not always be immediate, but your mind and the universe will guide you to the solution, this can come in many different ways. The more relaxed you are, the quicker you will discover the solution to your problem or the answer you have been looking for, to overcome a challenge. One of the biggest enemies that you could have that will prevent you from feeling good and in balance, is tension in the mind and body. Although tension can be a result of stress and negative emotions, one of the biggest causes of tension, is when the body is out of aligned and balance. As young children we stand, sit and move with ease and balance, but as we grow older, many people develop bad posture habits. Ideally you should move, sit and stand at your full expansion with the least amount of tension and effort and definitely without stiffening, forcing, tucking in or tensing. Everybody has a natural and balanced posture, and it only becomes a problem when we either slouch, mess with our posture's or we do the things that we shouldn't. Our body and facial expressions are linked to our emotions. If you're feeling scared your body can shift and shrink into the fight or flight reflex posture, where the head protrudes forwards and the back of the head gets pulled down putting you in an insecure state. If you're feeling sad, then you will have a matching sad expression on your face and your head will tend to drop causing you to look down. When you're angry, you will scowl and you will tense your facial muscle, pull back your shoulders, stick out your chest and lift up your chin. When you're feeling happy and confident you will have a smile and relaxed facial muscles, and your body posture will be more open, relaxed and poised. All your emotions are hardwired to your facial expressions and your body posture. The good news is, you can change your mood and state by changing your facial expression and your body posture. So if you feel anxious or sad, put on a big smile, relax your neck, release your head very slightly off the top of your spine so it goes gently forwards and up, let your shoulders relax and gently allow your body to open, but do not tense or force anything. The same applies if you're feeling a bit underconfident, gently open up your body, do a quick two minute power pose, smile and act as if you would if you felt confident. Inflammation in the body is believed to be the source of many health related issues and when inflammation flares up it can take a toll on your body. But it is now believed that inflammation can cause some brain issues, including memory and concentration issues. Inflammation is not a bad thing and it is the body's response to injury, cuts and infection, but when it gets out of control it can contribute to many health related problems. Lowering your inflammation levels or keeping your inflammation levels under control is one the most important things that you can do to help you maintain good health and well-being. Inflammation in the body can gradually build up over a long period of time, so to begin to reduce your inflammation you may need to tackle it at its source. Experts state that there are certain food and triggers that are classed in the category of things and foods that may trigger inflammation and in the other category you have the cooling foods. Some of the foods that have been linked to inflammation are, too much sugar and to much trans fat. To many Omega-6 polyunsaturated fats can be bad for some people because too many Omega-6s in the diet may lead to inflammation. Sometimes moderation is the key. Again stress, poor nutrition, tension in the body, a lack of sleep or living a sedentary lifestyle, can increase inflammation in the body and mind. The sensible thing may be to reduce some of the triggers and introduce more of the healthy cooling foods, and although you may not be able to completely cut out all of the bad things it can pay to do things in moderation. Trying to pinpoint the foods that may be affecting you can be tricky and it can help to keep a food journal and start off by eliminating one food at a time for a few weeks. Some people can have issues, intolerances and reactions with foods that contain monosodium glutamate (MSG) which is a food flavouring and additives that can be found in many foods. MSG has been linked to many health related issues, like weight gain, headaches and migraines, hyperactivity, seizures, hormone fluctuation and many other neurological and nervous system related conditions. And although you cannot cut out MSG completely in can pay to try and reduce the amount you consume. We are designed to be active, therefore we could ask the question, is a lot of modern day problems down to the fact that many of us are living more sedentary and less active lifestyles. This does not mean that you have to go out and run a marathon, but it is important that you try and keep active and avoid sitting down for long periods. If you find that you do not have the time to exercise, try to accommodate more activity in your daily routine. Everybody at times throughout their lives has problems and challenges to face. Instead of learning how to problem solve and find out the root cause of our issue's, then work on fixing them and overcome challenges. Which sometimes requires a bit of effort and time, we are sometimes too reliant on a quick fix or pills. Our coping mechanisms should be strong enough for us to deal with the challenges that life sometimes throws at us and we are fully equipped to solve problems and overcome challenges. Your brain is like a super computer, ask it a question or ask for help and advice and it will bring back to you the answer or it will guide you to the solution. You will struggle to find a solution if you're feeling stressed or tense. Therefore, learn to relax, then try to analyze what or where you're going wrong and see if you can come up with a better way of doing things or try to work out where you've been going wrong. If you follow the above tips then you will be at your peak efficient best. If you want to then become more successful, start to set yourself some goals or learn some new skills. If you set yourself a goal be persistent and never give up until you win, picture yourself victorious and hold that image in your mind and keep on going until you're victorious. We are limited with our time, so if you want to achieve your goals quicker you have to be more productive and learn how to work faster, smarter, better but not harder. The key to getting more things done and becoming more successful is to learn how to manage your time and to be more productive.